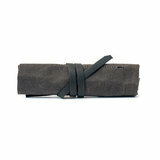 The Blackwing Pencil Roll is a waxed canvas pouch made by hand in San Diego by the people of Bradley Mountain. 5 Blackwing pencils included. 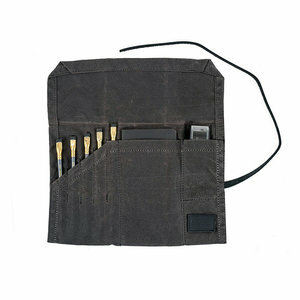 In this Blackwing pencil roll of waxed canvas you can take with you 5 Blackwing Pencils, the first 5 are already there for you. 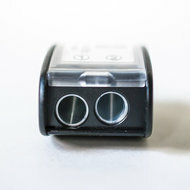 Furthermore, there is a box where you can store a notebook or paper or something else and there is a place to hold the Blackwing Pencil sharpener. 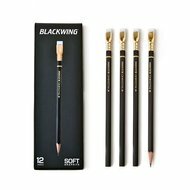 In short, for the real Blackwing enthusiasts this is must have. For this pencil pouch Palomino Blackwing has entered into a partnership with Bradley Mountain from San Diego, California. 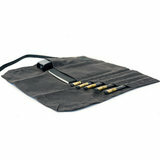 Bradley Mountain is a group of 7 craftsmen who make bags and pouches by hand. This pouch is specially designed for the Blackwing pencils using black Martexin washcloth and oiled black leather. 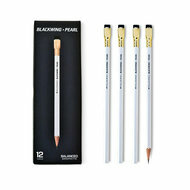 You can find our complete Palomino Blackwing collection here. 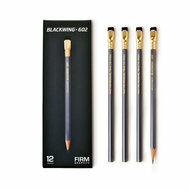 The story of Blackwing pencils started in the 30s when the Blackwing 602 was introduced by Eberhard Faber. 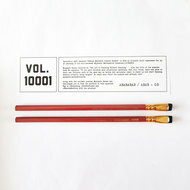 In 1998, after different takeovers, the pencils were no longer produced. 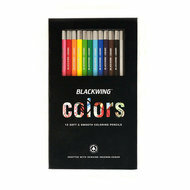 But by then the Blackwing already was immense popular with artists, musicians and scientists. Prices on Ebay went up to 40 dollar a pencil. In 2010 Palomino, a company with a rich history of almost 100 years in the pencil business, reintroduced the Blackwing on the market. 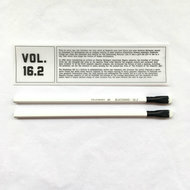 The searched and found the best materials for this pencil. 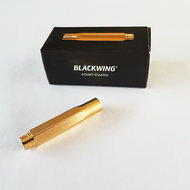 Praised in the New Yorker, The Boston Globe, and Boing Boing among others, the Palomino Blackwing 602 features a firm and smooth graphite core that helps it deliver on its promise of “Half the Pressure, Twice the Speed.” Its unique and iconic ferrule allows you to extend and replace its eraser after extensive use.